Are you looking for the most strategic way to optimize energy efficiency while saving a significant amount of space at home for HVAC installation? Then you can never go wrong with HVAC package units. Package units are installed outside, with no indoor furnace or air handler needed. These units are ideal for homes with small crawlspace as they contain all components of traditional split HVAC systems in a single unit. Package heat pumps are ideal for areas where the temperature rarely drops below the freezing point. When using heat pumps, heat is transferred by reversing the cycle of refrigeration. During the evaporation and condensation cycle, the indoor coils are effectively heated while the air is pushed over the warm coils. Then, the warm air is blown through the duct which increases your indoor temperature and makes your home more comfortable. With this package HVAC system, you can have air conditioners and air handlers in one. But these units do more than just cooling! They are also ideal these cold months. To make the most of their heating capabilities, add some heat strips to the system, and you are all set for the winter season. So if you are looking for an all-electric heating and cooling system, package air conditioners are a smart choice. If you do not like package air conditioners but still want to enjoy both heating and cooling for your home, package gas/electric system is the best option for you. This system is convenient as it combines the air conditioner, gas furnace, and coil in a single installation. Typically, this is ideal for households with limited indoor space. If you want to enjoy the benefits of a heating system with a temperature that frequently drops below 25 degrees, then a dual-fuel system is the best bet. It works by turning on the gas furnace when the temperature gets cold, and with this mechanism, you can only use less amount of gas during the cold months. Using dual-fuel systems help save a big bulk of cash on your energy bills without compromising your home’s comfort. HVAC package units are the best options for you, especially if you do not have enough space at home for an installation or if you simply want to enjoy efficient heating and cooling in a single system. 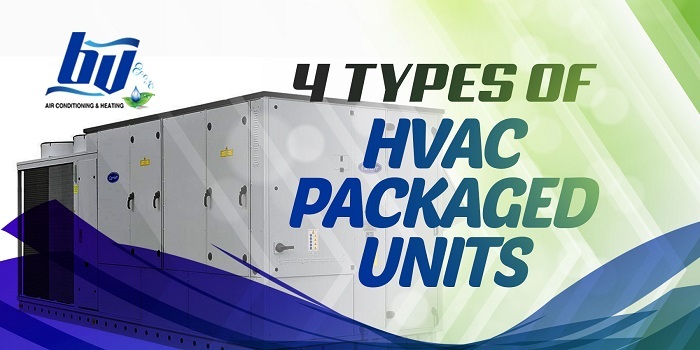 Here at BV Air Conditioning & Heating, we have all kinds of package units available for you. We can help you decide which unit is suitable for your home and even install it at a competitive price. Call us to get started! Copyright © 2016 – BV Air. All Rights Reserved.